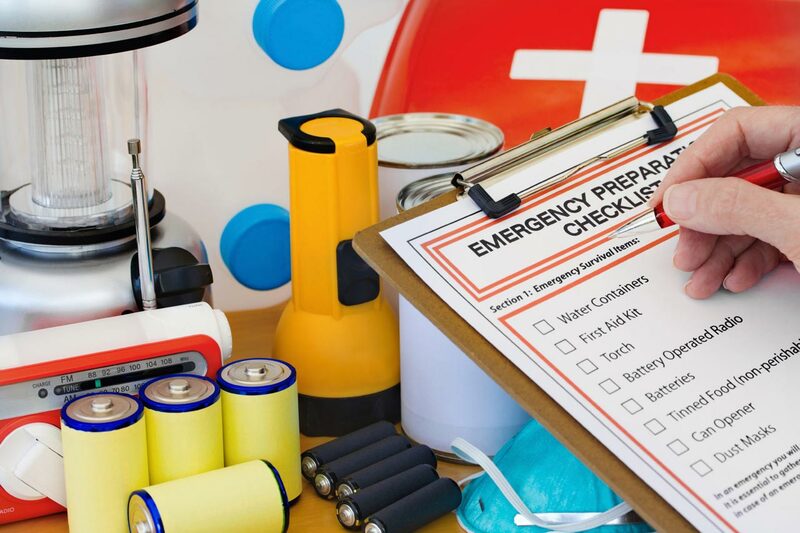 If you live in an area affected by tornadoes, hurricanes, earthquakes or wildfires, you may have heard that you should have a survival kit as part of your emergency preparedness plan. If you do not have one or need some additional guidance, we have laid out some tips below to help get you started building your survival kit. Before you start to collect items for your survival kit, you should think through how and where you will store your kit. Your approach will be different depending on if it is likely you will evacuate or if you will be staying in a safe place in your home. If you are likely staying in your home, it will not matter what you store your survival kit in, but it will matter where you store it. You will want it located where you would gather during the disaster. If the basement is your safe place, then the kit should be located in the basement. If you are evacuating, you want your kit stored in something easy to transport. A backpack is a good choice. For food and water, consider a plastic tub with wheels. Be sure it is not too heavy so you can load it into your car. Fuel: Gasoline should be stored at room temperature and away from sources of heat or ignition. You will want to store gas for use in a generator and your car. If you have a propane powered grill, consider keeping some propane on hand as well. Water: Keep three gallons of bottled water per family member. Also, consider having a way to purify water. Eight to sixteen drops of bleach will purify a gallon of water. Bleach will need to be rotated out of your survival kit every six months as it loses potency with time. Food: Store foods that do not need refrigeration. Good choices include canned tuna, dried fruit, peanut butter, jerky, pudding cups, packets of instant milk and canned foods. Be sure to have a manual can opener as part of your survival kit. Aim for a three-day supply of food for each member of your family. Keep in mind family members with special requirements such as infants and pets when packing your food items. Light: It is always wise to have flashlights with spare batteries on hand. Candles are another option but must be used with caution as they pose a fire hazard. First Aid Kit: Include prescriptions and other medication along with basic first aid items like gauze, Band-Aids, and sanitation supplies. Radio: You will want to know the latest updates during and after the disaster. Consider a battery-powered or hand-crank radio. Additional items to consider: Copies of important documents like birth certificates and passports, change of clothing, and cash. We also recommended you keep a flashlight near your bed in case you get evacuated at night. Prepare your survival kit now, before a disaster occurs. Be sure to check it once a year and replace items that have expired. Great list of things to include in your emergency preparedness kit. I like that you point out to include a radio. I think that this could be forgotten, especially when there are so many other things that could be included in the kit. I think that it is also important to have a map of some kind to know where you are going. I would imagine that it is probably difficult to navigate somewhere in the dark and when you are shaken up by something. That’s a good tip to store 3 gallons of water for family member. The human body can only last a couple of days without water. I have an extra closet without too much stuff in it; maybe I can use that as part of my emergency storage. Great Products for emergency situation. Everyone should be aware of all products. Great list. There are plenty of Survival kits available on the market that you can purchase that are “ready made” and give you solutions to just about everything. Thanks for posting about the Disaster Preparedness Supplies that really helpful at emergency period. 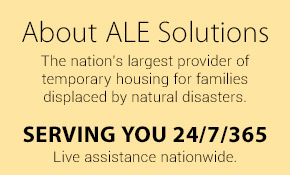 Thanks for posting about the Emergency Preparedness Supplies with highest quality emergency preparedness tools and supplies to prepare you for earthquakes, hurricanes, terrorism or any other disaster.